Dublin map confetti. 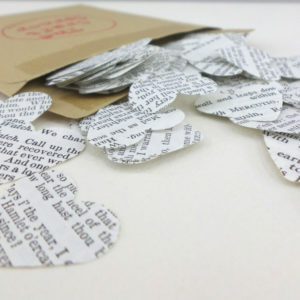 Little mini hearts to send to anyone far from home but close to heart. Send the Dublin map confetti in the post to someone far from home, to keep their home city close at heart. Imagine getting that snail mail. 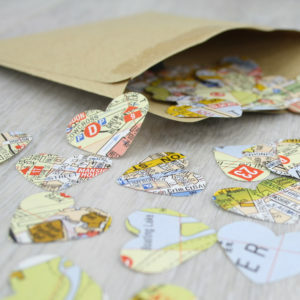 Or keep the map hearts for yourself to use in a homemade project. 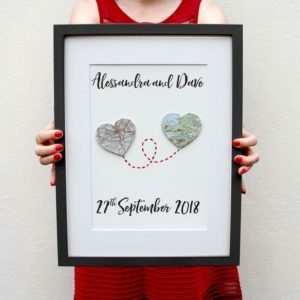 You can make the atlas hearts into bunting or use them to decorate your table for a party. Or make Dublin themed cake toppers. 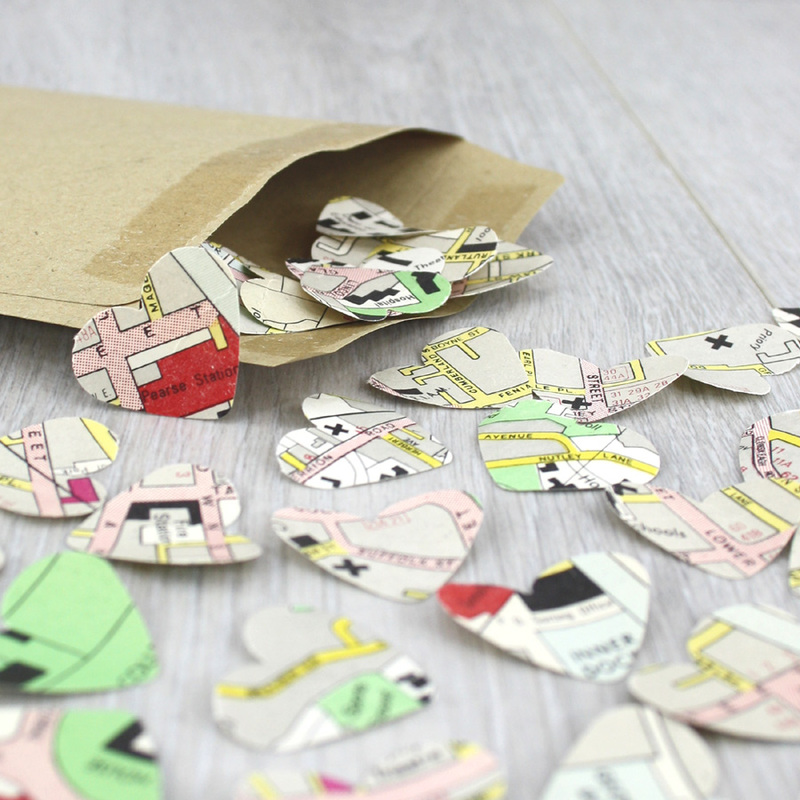 Use them in your scrapbooking projects, to decorate your travel journal or add that extra special touch to your mail by sealing your envelope with a little map heart. 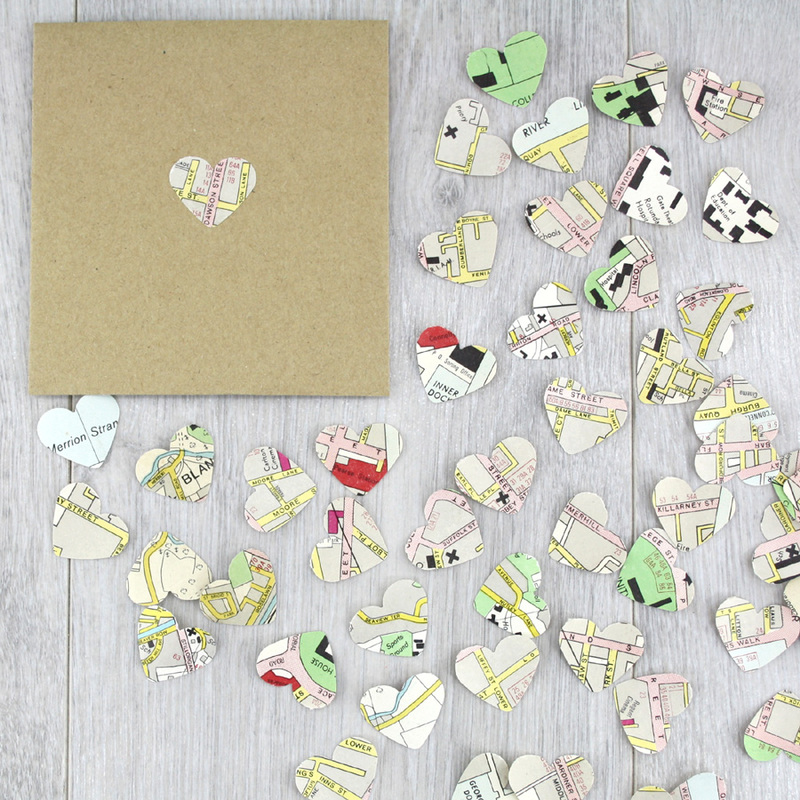 Each envelope contains 50 mini hearts of Dublin map confetti with atlas sections showing on both sides. 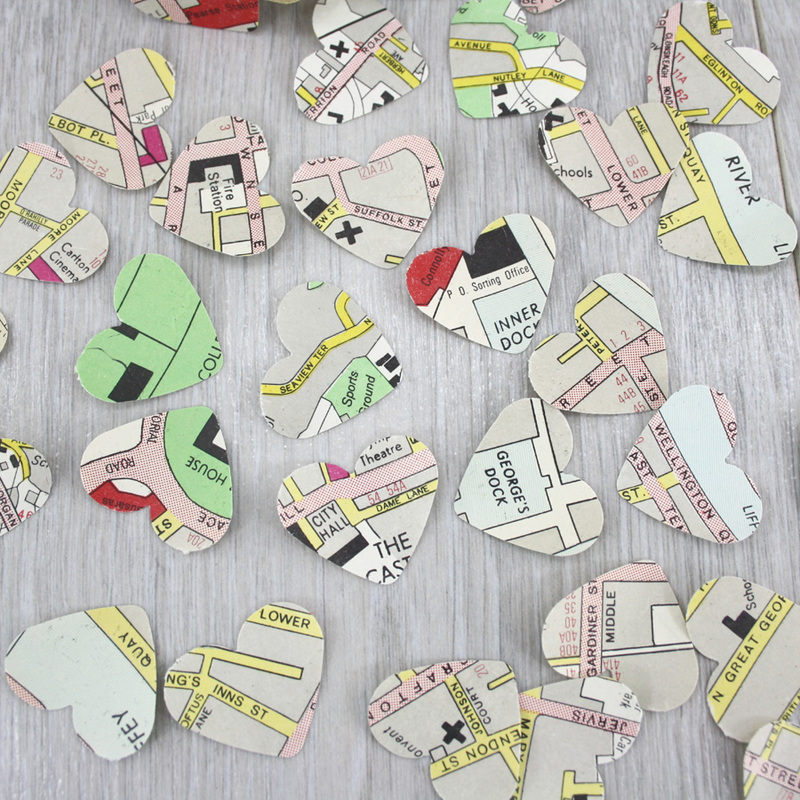 Please note that each pack of map hearts will vary slightly as I am working with original maps and Atlas’s of Dublin so no two are the same. 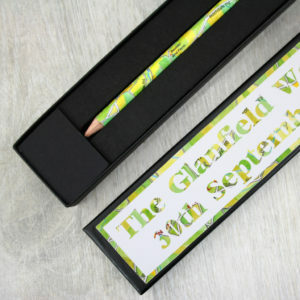 I cannot guarantee that a particular area will be showing but if you would like to order a commissioned location just get in touch.